Samsung Electronics Co., Ltd. today introduced the Samsung Gear Fit, the industry’s first curved, Super AMOLED wearable device for the active consumer. 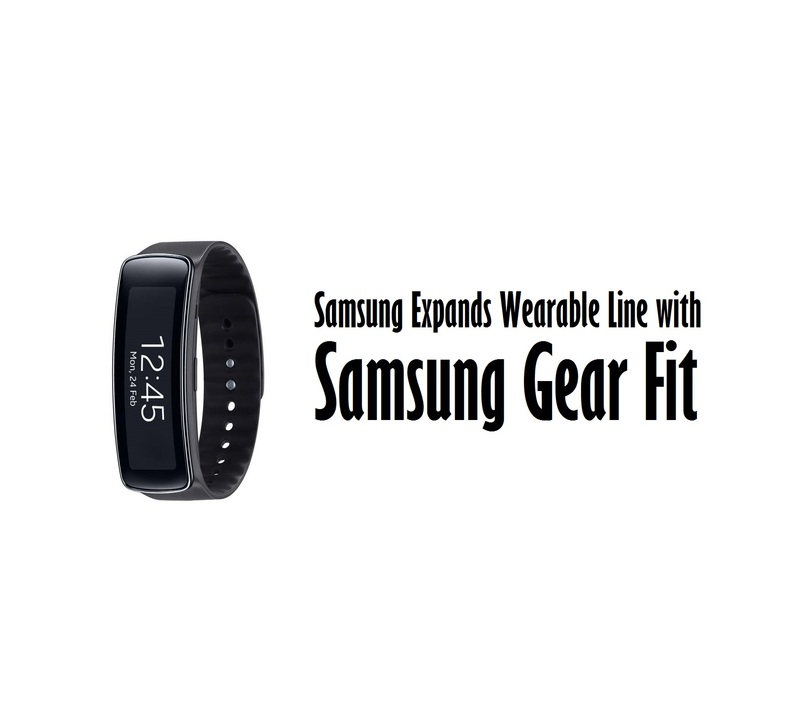 The Gear Fit offers the unmatched convenience of Samsung Gear technology with the most comprehensive fitness tools available, empowering consumers stay physically active without sacrificing personal style or mobile connectivity. [blockquote cite=”JK Shin, CEO and President of IT & Mobile Division, Samsung Electronics”] Samsung understands that the next generation of wearable mobile solutions must directly reflect of the diverse interests and needs of consumers. In response, our Gear product portfolio continues to expand with unique devices for a wide range of lifestyles, including the new Gear Fit designed to help those consumers striving to live more fit and active lives without sacrificing their own personal style or their ability to stay connected on the go. Whether used as a standalone or companion device, the Samsung Gear Fit puts people in charge of their personal and active lives while staying connected so they never miss a moment. 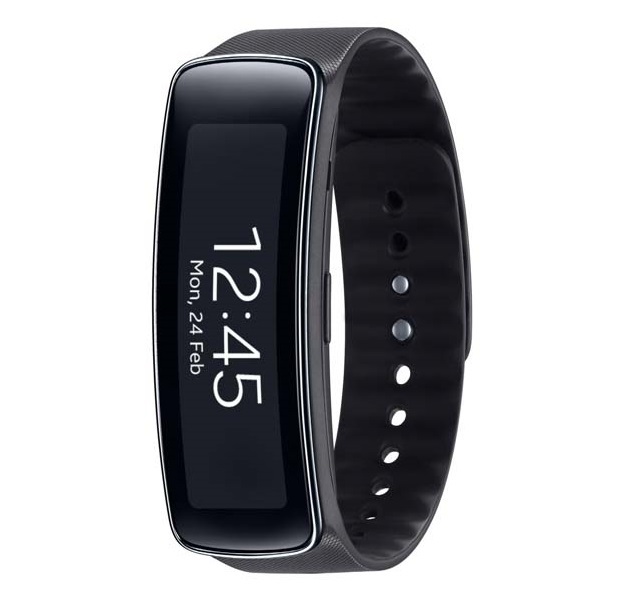 [info]The ultimate modern fitness solution[/info] The Samsung Gear Fit was designed to comfortably contour to consumers’ wrists while offering a vivid Super AMOLED display. It provides much more than an everyday fitness band, keeping consumers up to date instant notifications from Galaxy smartphones such as incoming calls, emails, SMS, alarm, S-planner, 3rd party apps while consumers are on the move so they can stay connected. Changeable straps in Black, Orange and Mocha Grey will let users express their individual style, changing the look of the Gear Fit to match their outfit or mood for any type of activity.